Ready for some deliciously fragrant news? Good, us too. 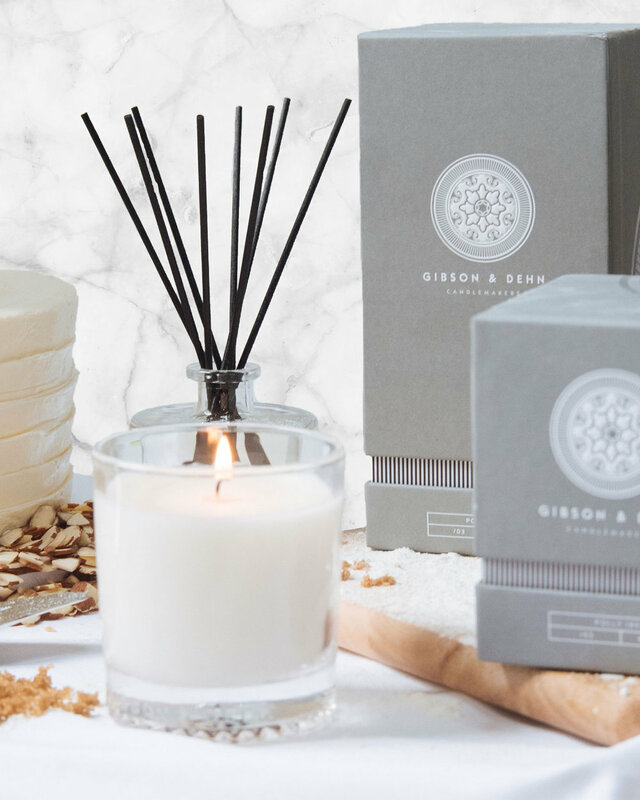 It’s official: your whole house can smell like wedding cake now thanks to Gibson & Dehn’s line of candles and diffusers in Vanilla Chiffon scent. Assuming you opted for the most popular wedding cake flavor of all time, vanilla, and not a trendy cheese wedding cake, filling your home with the scent of wedded bliss is possibly the most uplifting idea ever. The Gibson & Dehn website describes the scent as, “Vanilla bean and a hint of toasted almond folded into ribbons of whipped sweet cream.” Sounds divine, right? If you’re feeling REALLY over the top, you can lay down some cute wedding cake hints for your guests by placing these lit candles around your bridal and engagement parties. Something will smell and taste very, very familiar by the time they arrive at your reception. Even better, there’s real science that suggests the scent of vanilla is a major mood enhancer.